Thank you to everyone who took part in National Ride2Work Day on Wednesday 17th October. Being Australia’s largest celebration of commuter riding, we saw over 200 people celebrating the benefits of riding to work across four sites around Macquarie Park and North Ryde . On the day participants enjoyed a free breakfast, coffee, bike health check and massage at one of the community events at Optus, AMP, Macquarie University or Triniti Business Park. Congratulations to the following people who won a Strava ‘three-pack’ membership from our ‘spin the wheel’ at Connect’s Ride 2 Work Day stall. Thank you to everyone who signed up to our mailing list on the day. Below are the lucky winners of a cycling gift bag! Did you miss out on winning a cooling towel at Ride 2 Work Day? It’s not too late! If you’re a Connect member and would like a towel for yourself, email us at info@connectmacpark.com and we’ll send them your way! Bicycle NSW is the peak advocacy for recreational riders in NSW. With over 40 years of experience, we continually work with government, councils, members and other stakeholders to create a better environment for cycling. As a Connect member, you can enjoy $20 off all Bicycle NSW memberships by signing up here. If you’re a Connect member, email us at info@connectmacpark.com and we’ll email you the discount code. Strava’s local city guide highlights the most popular bike rides and routes in major cities including Macquarie Park. Keep an eye out for the Connect stall on Ride2Work day for a chance to win a Strava subscription! Bicycle Network & Reid Cycles teamed up to get the facts about commuting to work. What is the cheapest, fastest, and most satisfying way to get to work? Take a look here. 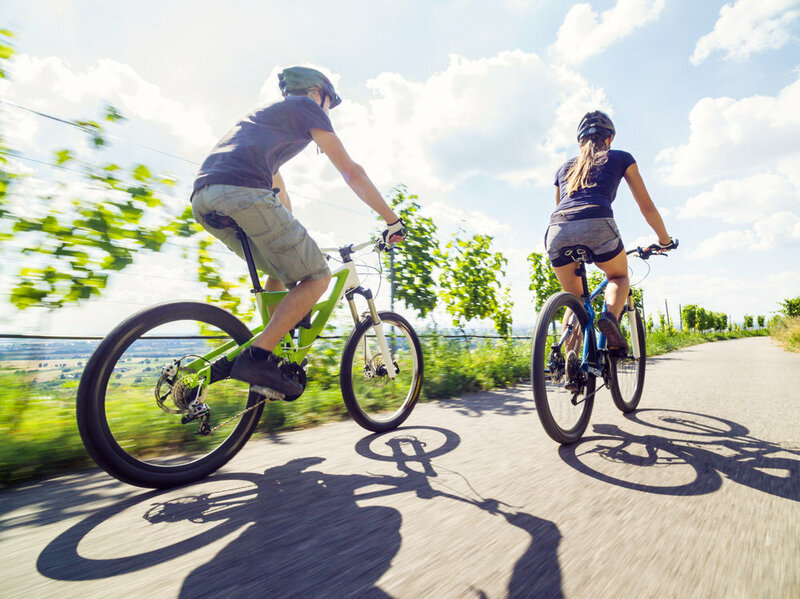 Did you know riding your bike regularly contributes to long term health benefits including increased strength, improved muscle tone, decreased body fat and reduced risk of disease? Learn more tips and tricks here. Is 2018 your year of the bike? Do you know your way around Macquarie Park by bike? Do you know how to check your equipment? Read here to make sure you are ready to go!